A range of graphic functions have been added to the Builder to quickly create clear graphics: lines, circles, colours, text, function plots and even dimension lines are now created by a single command. With this it is for instance easy to add a drawing of a concrete cross section with rebars in the output, a stress-strain curve or even a detailed dynamic drawing of a steel connection. Some types of results are more clearly displayed in a table or grid. This is now supported by the new grid output for a clean layout with multiple rows and columns. A totally new Dialogue creation environment allows for creation of input dialogues with the same flexibility as in any Windows application: frames, tabs, checkboxes, comboboxes, grid input, etc. 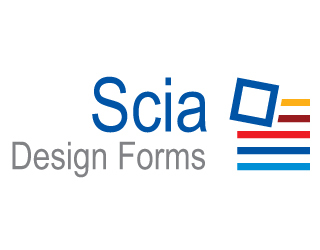 For more information, visit the Scia Design Forms page on our website.